Enjoy, customize and personalize your 123 greetings free e card! 123 greetings is the most popular site offering free e-cards. All the e-cards it offers are free to use and send. Free Greetings For The Planet! The site is huge. There are over 25000 e-cards, and over 2000 events and festivals offered and updated regularly. There are many e-card categories, including birthday e-cards. On every page you'll find a small tip regarding the page content or the e-card idea. These tips are fun and contribute to the content and atmosphere of the page. Sending a123 free greeting card is a very simple process. 1. You can customize the font color, size and type. You can also customize the background color of the-card. The process is very simple and self explanatory. 2. You can personalize your card. Add your words and greetings and update the recipient list – up to one hundred recipients for each card! 3.The third stage is previewing and sending the-card. Upon sending your cards you'll get an e mail that the-card has been sent. You'll also get e-mail notification when your recipient collects the card. There are 3 types of cards: animated, flash and interactive-cards (where you can insert your recipient's name or other words so they appear as part of the animation). You can follow your e-card with a special card number. With this number your recipient will be able to see their e-card too. 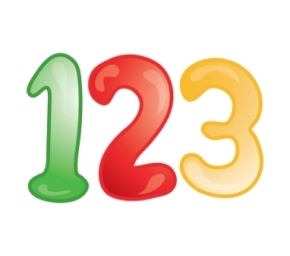 To access 123 greeting card selection and opportunities, click on the 123 picture below. It will take you directly to 123 greetings selection of birthday e-cards.